[LAST UPDATED: October 2018] It is a well-known fact that all the main Paris attractions have terrifying long queues. 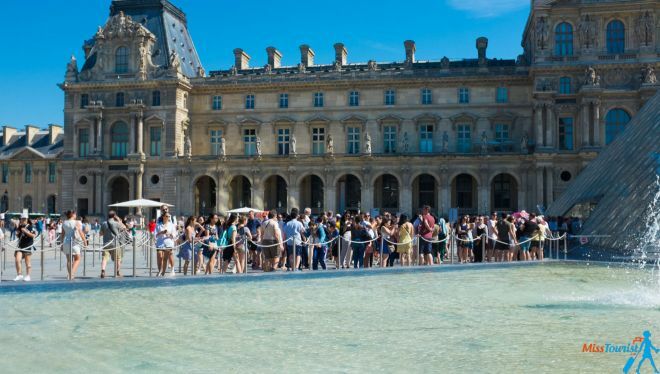 Unfortunately, many tourists don’t know about some simple tricks to skip the lines in Paris and they choose to spend hours of their precious vacation time waiting in the long queues. I have been to all the main tourist spots of the city, stayed in all the queues, made some mistakes, and I decided to write this post so that people can learn from my mistakes. People who know me well, know that I HATE waiting and I dislike all kinds of queues. If I have the possibility to avoid them, I will take the opportunity to do so! Bonus 2 – A place that has no queue, but it is just as awesome! 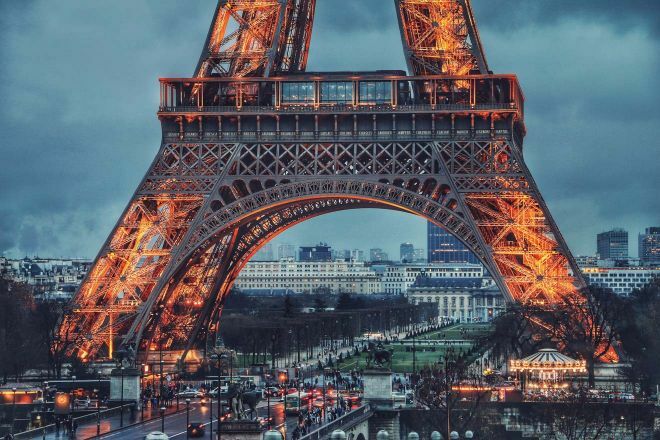 Your Paris trip simply won’t be complete if you won’t visit the Eiffel Tower! It’s no secret that the Eiffel Tower is probably one of the busiest tourist destination in Paris, and maybe the world! Are you wondering how long are the lines at the Eiffel Tower? The lines are getting bigger and bigger each year and you will probably waste a few more hours by standing in the Eiffel Tower queue, instead of visiting the beautiful city. If you want to opt for the normal Tour Eiffel tickets with no guide, you can find the tickets for the Tower here. The entire process is very easy and you don’t even have to print the ticket – just show it on your smartphone. Just make sure to buy your Eiffel Tower tickets online at least a couple of days in advance (even though 4-5 days in advance is better), because the online tickets are selling out very fast. If you want to book the tickets to the Eiffel Tower with skip-the-line access in a guided tour, you should take this Paris Skip the line Eiffel Tower Tour or this one (the latter includes an Eiffel Tower skip the line to the summit as well, which will offer you a bird’s eye view of the entire city!). If you are looking for an exclusive visit, this friendly semi-private tour provides priority access along with an entertaining guide. It’s great for families with children as well! 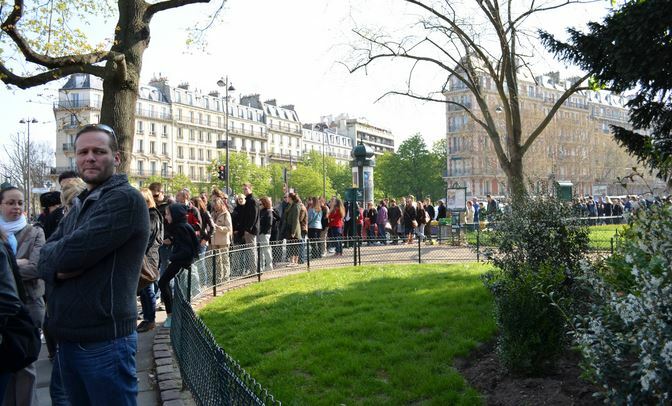 If all the online tickets are sold out and you really have to see the Eiffel Tower tomorrow, you don’t need to worry, as you can just go there and wait in the line with everybody. Another way to benefit from the skip-the-line ticket to the Eiffel Tower while also enjoying a unique way of discovering the city is to book a two-in-one Eiffel Tower and Seine cruise ticket! There are many Eiffel Tower tours in Paris, but during this tour, you will use the skip-the-line ticket to get to the second floor of the tower and explore it at your own pace, and then enjoy a 1-hour Seine cruise. 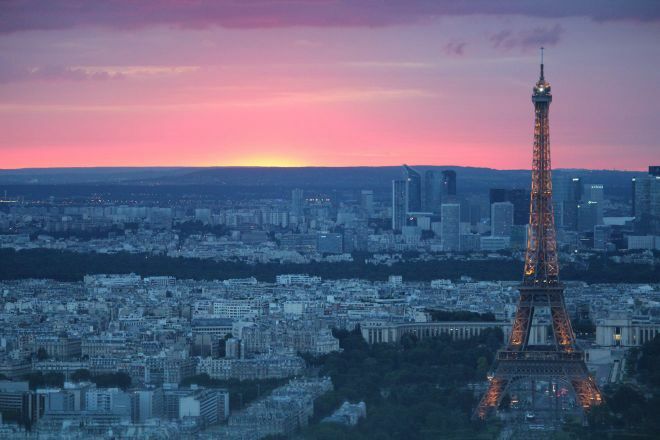 If you want to also go up to the summit at the Eiffel Tower, you can do so by using the standard access and buying your Eiffel Tower Summit tickets there. I am leaving this option as the last one because it is definitely pricier, but useful nonetheless! There 2 Eiffel Tower restaurants: Jules Verne and 58 Tour Eiffel and both of them have their own private elevator that can take you up to the platforms if you wish and if you have a reservation. The elevator at Jules Verne can take you to the second floor and the one at 58 Tour Eiffel can take you to the first floor. As you might expect, both of these restaurants are very good, but kind of expensive (Jules Verne has a fixed menu for 200€ for lunch and even more for dinner). If you would have dined there anyway, you might as well benefit from their elevator too! TIP: Make sure to arrive at least 30 minutes before your reservation because, even though there is a private entrance for the restaurants, you will still have to get through security control. NOTE: Jules Verne restaurant is closed until spring 2019 for revamp. Check their website to see when it will open. Louvre Museum is one of the main Paris attractions and the biggest art museum in the entire world! Considering the fact that Musee du Louvre is the most visited museum in the world, the museum staff is doing a great job, but you probably will still have to wait in a huge line to get in! Trust me, it is worth it though! And I hope some of my tips below will help you to significantly cut the waiting time if not eliminate it at all. RELATED READ: Going to Bordeaux too? Here are 10 things to do in Bordeaux, France – The ultimate guide! The line really depends on the day you choose for visiting – sometimes you can be lucky and go through the main gate almost without waiting (especially if you are visiting during the low season in Paris), but, usually, Louvre is extremely crowded and the waiting time is very long. PRO TIP: Louvre Museum launched an online app that you can download on your phone (in French) where you can check the estimated waiting time for the queues at the museum (Pyramide and Carousel). The first option to avoid the Louvre queue would be to buy your print-at-home ticket online. 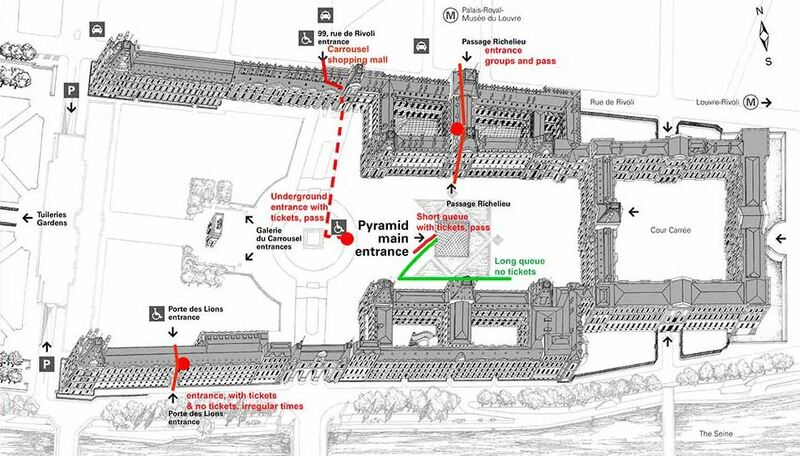 For this, you only need to go on Louvre website here, select the day and hour of your arrival at the museum and, even though your ticket is not a skip-the-line one, it will give you access to the pyramid within half an hour of the time shown on the ticket. 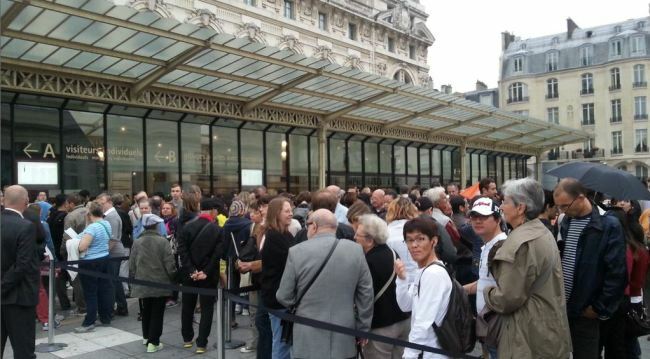 No need to stay in the huge lines to buy your Louvre Museum tickets! Just make sure to print your ticket beforehand (as you cannot show it on your phone) and do not be late! Also, what you can do is to go to FNAC and buy your ticket from there. FNAC is a huge retail store of books, magazines, CDs and so on and they have stores everywhere in the city center. You can find the closest FNAC here. Another option would be to buy your Musee du Louvre tickets from the Tourist Information Center at the airport when you arrive. As you can see on this map (better quality downloadable file here), there are 3 entrances to the museum. I advise you to not choose the most obvious one, as that is the one that other tourists will choose too. If you want to skip the line at the Louvre, you should know that there is a “secret” entrance called Porte des Lions that not many people know about! I advise trying that gate first because it is the best and almost nobody knows about it! If this entrance is closed because of technical reasons, I suggest you head to Carrousel de Louvre entrance (located in the underground of the shopping mall). The main one, called the Pyramid Entrance is always crowded, so you better avoid it at any cost. You can find more information about the entrances and the working hours here. 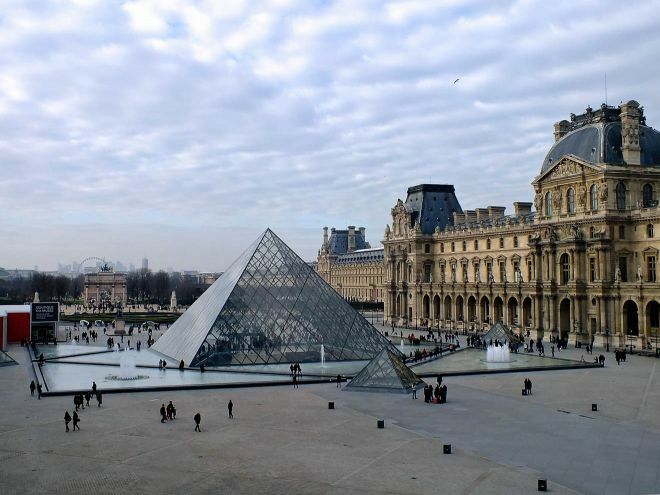 If you are willing to pay a bit extra, you can take a guided Louvre skip the line tour and enjoy the masterpieces of Louvre with a professional guide! One cool advantage is that, by taking this tour, you can also see the Mona Lisa without any hassle! For more info please go here. However, if you want to take a guided group tour of the world-famous museum and skip the line, this guided Louvre fast pass tour is a great deal! Are you searching for an exclusive tour with your own guide? You can get a private tour here! Visiting with kids? There are some special family guided tours that are very interesting for any age. You can find the family tour here. 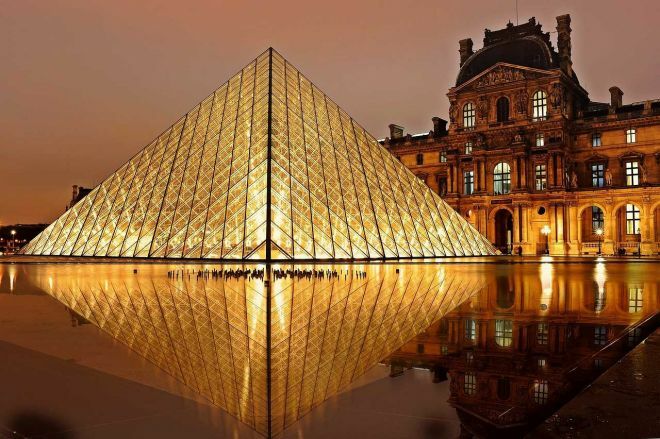 Paris Museum Pass can also be a good solution, as it will give you a fast access to the Louvre and 60 more other museums in Paris! You can find the complete list of museums here. Not many tourists don’t know that, but on Wednesdays and Fridays Louvre Museum is open to the public until late (until 9:45 P.M. to be exact). On all the other days, the museum closes at 6 P.M. and on Tuesdays it is closed for the entire day. So, if you didn’t manage to get your Louvre Museum skip-the-line tickets, I advise you take advantage of that and go there after 6 p.m. if you want to have Mona Lisa only for yourself! PRO TIP: The entrance to Louvre Museum is free for everyone under 18 years old, so just make sure to have their passport/ID with you in case they ask for proof. Many people know that if you are a European citizen younger than 26 years old, you can also have access to the Louvre for free. But not many know that you can benefit from this even if you are not from Europe (but you have to be younger than 26 nevertheless). Just go to the museum on Friday after 6 P.M. (the museum is closing at 9.45 P.M. that day) and you will get to Louvre Museum for free! The entrance to the museum is also free for everyone on the first Sunday of each month and on Bastille Day (July 14th), but beware, the lines are super long on this day! 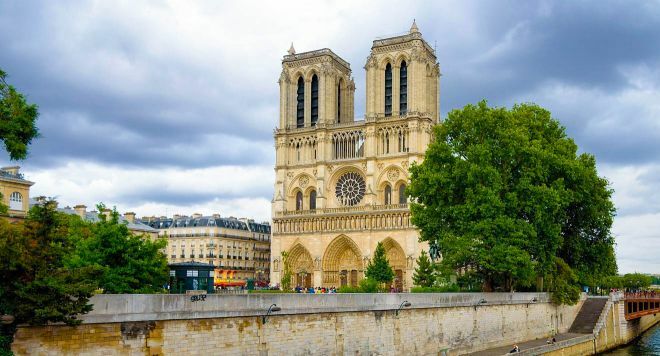 UPDATE: Notre Dame cathedral is closed after the fire catastrophe on 15th of April 2019. Let me start by saying that the entrance to the Cathedral of Notre Dame is free and the queue is completely self-regulated (which is exactly what causes hours of waiting in my opinion). Even though the queue can be moving quite fast, I never understood its purpose, to be honest. The capacity of the cathedral is so big, you will see that there is plenty of space once you finally get inside. The queue is long only because there are many tourists crowding at the entrance to take a picture. The interior of the cathedral is so spacious, it can fit an army, but for some reason people prefer to crowd right in front of the entrance, making others wait for hours outside. As the queue is self-organized and nobody manages it, here is what I usually do is: I sneak in right near the entrance (shhh!) and go right inside without blocking the entrance. If one of the visitors decided there needs to be a queue, I do not see a point in following him. Why would I? Of course, this advice only works if you are traveling alone or with one more person. You cannot really cut the line if you are traveling as a big family. By the way, did you know that there are free tours of Notre Dame Cathedral in many languages? Click here to find more! This place is a nightmare to get to be honest! I have been passing by the entrance to the towers for a couple of months and every time I saw a terrifying queue and decided to not go. Unfortunately, unless you are visiting the Towers with an organized tour, there is no way to cut the line, even if you have your Paris Museum Pass. The entrance will be free for you if you have the pass, but this won’t give you any priority and you will have to wait in a loooong line together with the other visitors. What you can do is come 40 minutes before the opening time (it opens at 10 a.m.). Yes, you will have to wait in line for at least 40 minutes either way. But if you come later, you will stay in the queue for at least 1h 30 min. Do you really want that? If you are traveling with a family or a big group of people, you can split – one part of the group stays in the queue, while the other ones go see the cathedral, drink a cup of coffee or play in the park and then you switch places. Getting this skip the line Paris tour will give you an access to both attractions – Notre Dame Towers AND the Sainte-Chapelle Cathedral (which also has some incredible queues!). You will discover all the mysteries of the dark ages with an English speaking guide in a small tour without staying in ANY queues. If you only wish to visit the Notre Dame without Sainte-Chapelle, this tour will give you a Skip the Line access without any hustle. Choose the option for 46€ and make sure to not be late! All the information about the opening hours and the price for Notre Dame Towers can be found here. Musée d’Orsay is my favorite museum in Paris and I highly recommend taking a tour during your stay in the city! Option 1: Visit Orsay Museum on Thursday after 6 p.m. Most of the people don’t know that the museum is open until 9 P.M. every Thursday. Thus, after 6 P.M. the queues will be much shorter and your waiting time will be maximum 10 minutes. As a nice bonus, the ticket will also cost you less – 11€ instead of 14€. PRO TIP: The entrance is also reduced every day at 11€ instead of 14€ for people between 18-25 years old who are not citizens or long-term residents of an EU member state. Just make sure to have your ID card (with photograph) with you! If you are not an expert but you would like to know more about the art pieces showcased in the museum, I suggest you get the small walking group tour with a cool professional guide! The tour will allow you to skip the whole line, while also learning many precious informations about the largest collection of Impressionist Art. Rodin Museum holds an interesting collection of sculptures, so I do recommend it for a visit! A great solution would be to take a combined ticket that will allow you to visit both museums with only 1 ticket. Here is how to do it: Go to Musee Rodin first and get your double ticket there. It will be cheaper this way – 15€ for both museums instead of 18€. Note: The combo ticket is only valid if you use it in the same day. Musee de l’Orangerie is a museum with a magnificent collection of Impressionist Art, located in Tuileries Garden. 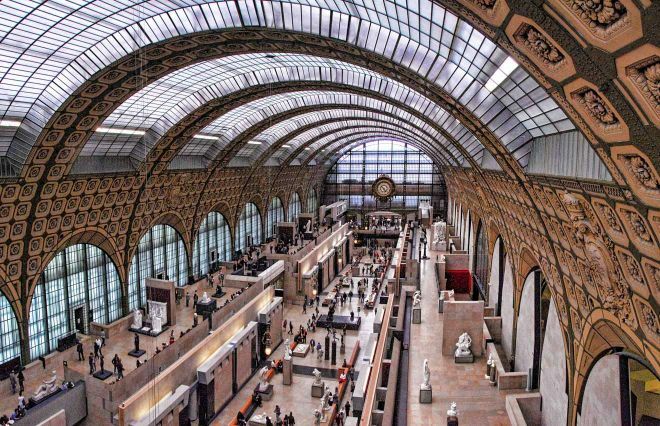 You can do the same as with Rodin Museum – you first go to l’Orangerie and then to Orsay by skipping the queue. The price will be cheaper again – 16€ instead of 18€. NOTE: The ticket is only valid if you use it within 4 days. There is also the option of buying your ticket online on Musee d’Orsay website, which will help you skip the lines using the reserved entrance (Entrance C). The reason why I am not suggesting this as a first option is because the museum is using an online system of FNAC, which means you will have to have your ticket delivered to your address or pick it up in one of the FNAC shops, which I don’t find to be very convenient. There are also some other resellers but all the options I could find require the ticket to be delivered to your country or picking it up from a specific place in Paris, you cannot print the ticket yourself after buying or present it on your smartphone at the entrance. The catacombs of Paris are a great attraction and one of the creepiest things I have ever visited! The catacombs also take the longest to get in, unfortunately. I don’t know the reason behind this, but no tickets are sold online (hopefully, they will change it one day!). You can only get your ticket at the cash register. Yes, that means staying in a looong queue and not even being sure if you will get in today! Right after you get off at Denfert-Rochereau metro station, you will see this long line leading to the famous crypt. My advice: if you arrive at the Catacombs an hour before closing and see a huge line, don’t even bother to wait, as you won’t go inside that day, unfortunately. The crypt is not that big and the capacity of the place is of only 200 people, so they let people in groups of 200 every 45 minutes. Make your calculations and figure out if it is worth waiting or it is better to come back another day for your Paris Catacombs tour. Arriving at the catacombs 30 minutes before the opening time will usually help you save at least an hour of waiting in the line! You can find more information about the schedule here. You can now buy your Paris Catacombs tickets online from their official website, which will help you reduce the waiting time. On the spot, the price is 13€/person for adults and it includes the entrance to the Catacombs and the exhibition. If you book your skip-the-line ticket online on their website, you will also receive the audio guide and the price is 29€/person for adults. It is indeed pricey, but you will get to skip the huge lines and also benefit from the audio guide! NOTE: You can only buy online their standard skip-the-line adult ticket at full price or the children tickets. If you wish to buy some other discounted tickets (such as the tickets for disabled people and their personal care attendant), you will have to buy them on the spot by staying in line. The skip-the-line Paris Catacombs ticket for children between 4-17 years old is at a reduced rate (5€ instead of 17€) and you will have to buy it from a different page on the website. Alternatively, if you are looking to visit with a private group, you can explore the Catacombs with the “Full Access Small Group Guided Tour”, which you can buy from here. This is a great option to skip the line at Catacombs Paris as you will visit this attraction with a very knowledgeable English-speaking guide that will explain everything in detail to you, plus some amazing legends of stories about this unique place that you will never forget! 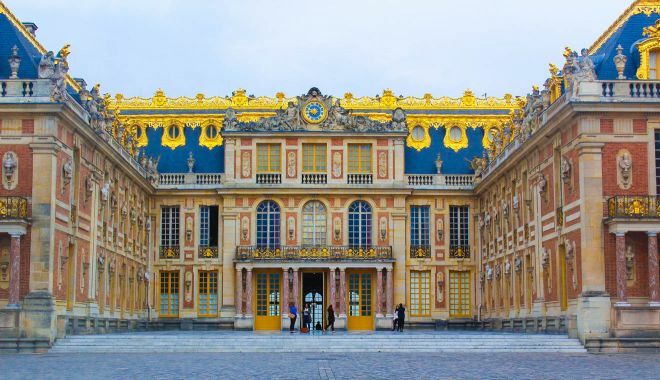 Even though Palace of Versailles is not located in the city and it takes around 30 minutes to get there, it is still a very popular attraction that many people visit during their vacation in Paris. As with the other places in this list, there are usually huge lines at Chateau Versailles. Luckily, there is a way to avoid them! If you will buy a guided or audio tour for Palace of Versailles you will be able to avoid the annoying lines and save precious time! 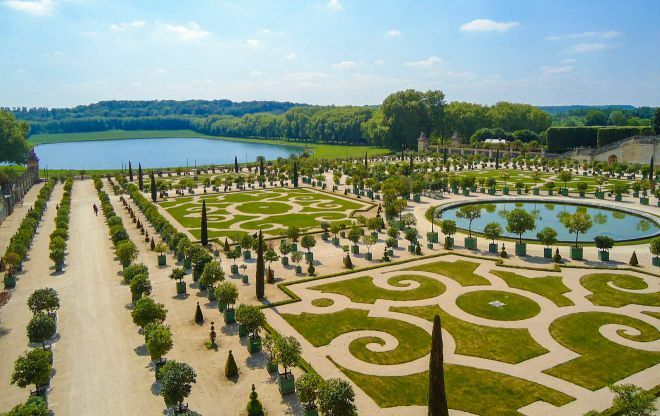 This tour is perfect for people who don’t have much time on hand and want to make the best out of their Versailles tour! In only 90 minutes you will find out everything you need to know about the French monarchy and you will see the beauty of the Palace. Moreover, after your guided tour ends, you will have enough time to visit the palace at your own pace! If you want to spend more time at the Palace If you are searching for a great tour that also includes the transfer to and from Paris, this is a great choice! You will travel by air-conditioned bus to Versailles where you will get to explore the beautiful Chateau with an audio guide, while also skipping the long lines! If you book a complete tour of 1 or 2 days for the entire domain of the Palace (Palace, Trianon, Marie Antoinette Estate and Gardens) with audio guide, you will successfully get to avoid the lines! In the castle, you will be able to visit the Grand Apartments, the Hall of Mirrors, the King’s Chamber, the Queen’s Chamber and the Apartments of Mesdames and you will be accompanied by an audio guide in 11 languages that you can choose from. 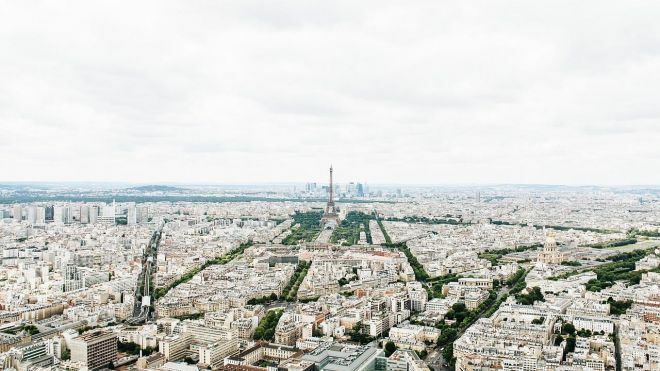 Montparnasse is Paris’ skyscraper and a fantastic viewpoint was recently opened there! The overview is located higher than the one at the Eiffel Tower, and you can actually see the Tower from there! I honestly think this is one of the best Paris sights in the city! This attraction is new and it was built following all the high-tech standards including elevators so you won’t have to use the exhausting stairs! There are even touch-screen displays there that will tell you what you are seeing in front of your eyes in multiple languages. This is a great way to get to know the city! It is not that popular yet, so you won’t get to experience big crowds and rushing! You will be able to stay for as long as you want and there are no queues at all! Luxury stay (196€ and up) – Le Roi de Sicile is located in trendy Marais district and offers stylish apartments. La Cour du 5ème – this hotel is right in the heart of Paris and it features a fireplace, antique furniture and a great seating area! Middle-priced (between 145€ – 196€) – La Maison de Léa – this one is located only a 7-minute walk away from Bastille and it offers contemporary B&B accommodations with individually decorated rooms. Helussi Hôtel – book this one in advance as it gets sold out quickly! It is located a 15-minute walk from Montmartre, close to the metro, it has stylish decor and a free sauna that all guests can use! Budget stay (between 50€ – 145€) – La Maison Rouge (this hotel is a great choice for travelers interested in parks, ambiance and gourmet food), Chambre d’hôte des Artistes (this B&B is located in the 2nd district of Paris, in the center of the capital, this hotel has fabulous reviews, book in advance!). Do you want to know where to stay in Paris? Check out my article about 5 neighborhoods in Paris with hotel recommendations for each here! Except the summer months, Paris can be quite chilly! Get a scarf! These are lifesavers in any trip. One of my favorite travel gear. You’ll thank me later! This is another very useful item when travelling. It’s compact and easy to hang in the bathroom! Don’t be scared by all those queuing pictures – Paris can get that very crowded sometimes, but certainly not all the time! It also makes sense to know your “enemy” and how to fight it before going there. There are many ways of beating the system and buy your fast track Paris attraction tickets if you are a smart traveler and skip the line by avoiding it! If you read this article carefully enough, you will surely be literally flying the line and it will save you entire hours of your time – time that you can use in a much more productive way than just getting bored in a long queue, right? I hope I gave you some valuable advice in this article and you will it for your next Paris holidays! P.S. Do you want to save at least 20€ on you Disneyland ticket or discover some non-touristic places for your trip to Paris? Check my other blog posts about this wonderful city! I have also traveled a lot around France and I wrote about many beautiful French destinations, which you might find useful for your next getaway! If you have any suggestions or information to add, do not hesitate to leave your comment below, I LOVE hearing from my readers! And don’t forget to tell me: Did you manage to use the tips described here for these Paris main sights? What other attraction would you like me to write about? I hope you will have a great time in Paris! The tickets for the Eiffetower are sold out weeks in advance. 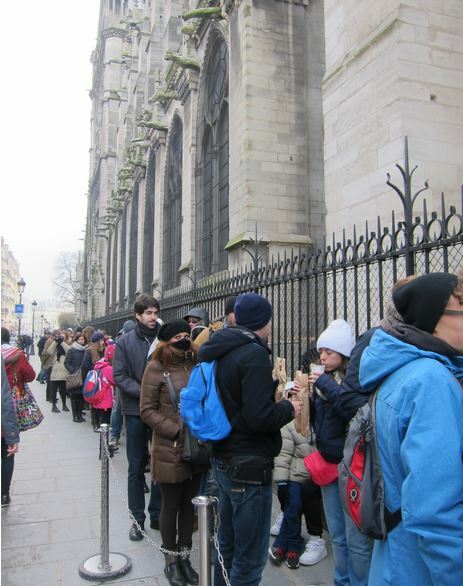 To avoid the queue of Notre Dame, be there before 10 am. For the Louvre, the Lions Gate is closed, and you can’t avoid the queues for the moment because of the controls due tu the 7th of januarary. Only if you are at least one hour before openingat the entrance.This is for all! !, Monuments and Museums in Paris! Yes, the best advice would be to go to all places a bit before they open. But usually tourists visit Paris for only a short period of time and they want to visit things in the middle of the day too. and that’s exactly when the queues are. I am sorry to hear my advice wasn’t helpful for you! it seems like you live in France and might know it all from before. Many foreigners don’t have time and/or desire to collect all these info from the Internet, so I decided to make a compilation of my knowledge for them! If you know more “secrets”, do not hesitate to share it with us, I will add them in the post. Using these tips for the weekend we spent in Paris, we only waited 30 minutes at the Eiffeltower, going there 30 minutes before opening. We went to the Louvre on a friday at 6 pm as suggested here and literally walked in without any line, instead of having 50-60 people around the Mona Lisa and the Venus of Milo, there were only about 5 -10. We also sneaked into the Notre damne as suggested. These tips saved us heaps off time and we loved using them. Times change and certain details could change but in general I found this article more then usefull and it saved us valuable hours of not waiting! thanks for the comment and I am happy it helped you save time on waiting on your vacation! Could you tell me what exactly changed? I will be happy to update the article with fresh info! Yes, the problem is that the queue is self-organized and self-controlled. People stop right after the enter to take pictures and block the entrance. There is noone inside to ask visitors to proceed inside where there is plenty of space for all the tourists waiting outside as well. You know, like when you try to enter a bus and you cant because there are many people at the doors, but it is empty inside 🙂 I could never understand it! Nice to see you here, was really nice to meet you! Hi Yulia, I would like to ask you about the Paris Musees website, where you can buy a ticket for the Catacombs. They even give you an arrival time. Do you know anything about this at all? You had mentioned that there were no online tickets, so this may not be a good site. Your thoughts? Hi Sharon, sorry for a late reply. I checked the website, I am quite sure you can trust them! I will buy the ticket through them and then make an update, thanks so much for the tip! Don’t forget the Arc de Triomphe. There’s usually a long line to get to top, but there’s a small elevator with a worker inside. Pay a couple of euros and up you go. When I was there, there was no queue, but brilliant tip, thanks for sharing it with us! 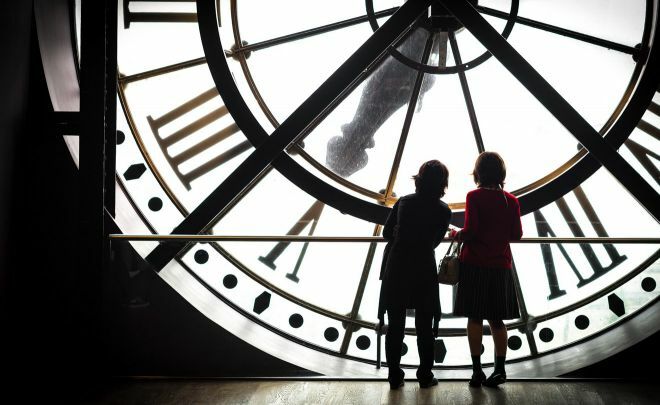 What I love in tourist’s blogs about Paris, is that you learn a lot about Paris, even when you live there 😉 Nice article, I didn’t know about the Thursday nights in Musée d’Orsay, I’ll try ! thanks for the tip, Aurélie! I was sure i mentioned that. Yes, that is a very valuable info! Hello, I just wanted to say thank you! We went to the Louvre today expecting not to get in due to the huge queue. We walked past the main gate, headed to the lion gate and walked straight in!. So thank you for posting this tip. Thanks Laura. is it free for louvre under 26 or concession price now? Brilliant article! Thank you for these tips! Saved! Musée d’Orsay also a favorite of ours, and the Musee Rodin is brilliant! Climbing the steps up to the Eiffel Tower also saves time, as queues for the lifts very long. Yes queue up to Notre Dame Towers is forever, but worthwhile if you want good selfies with gargoyles. Thank you for your comment, Tom! Great article I am going in 2 weeks and have taken note! Awesome, have a great trip! Great list dear! Paris is truly an amazing and a dream place for travelers. The photos you have shared are really captured the loveliness of Paris especially the Louvre museum and the Eiffel tower. Outstanding! Fine post! I adore your images. They are really good. Keep up the good work! 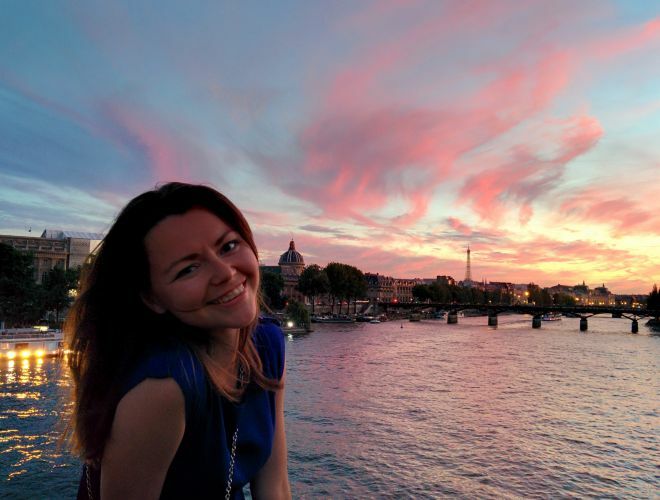 Hi Yulia, as a Parisian I can testify you give some really smart and wise advices here! I agree with you about Tour Montparnasse: few people think about getting there while it is such a beautiful view! About the Louvre, I am more radical: I often advise my foreign friends to just skip it! Unless you’re a specialist of classic arts and paintings, I think that you don’t really need to visit Le Louvre. May be because, when I was in school we had these boring visits that seemed us to take hours…That’s just my opinion but I really think that catching Paris spirit is more about strolling in nice historic neighbourhood. But for those who’d like to go there you gave them all the clues. You really deserve your blog success. Congrats! Family of 4 traveling with little ones and on a budget beginning of February. I am thinking of purchasing the paris museum pass to try to avoid the hassle of long lines and waiting. 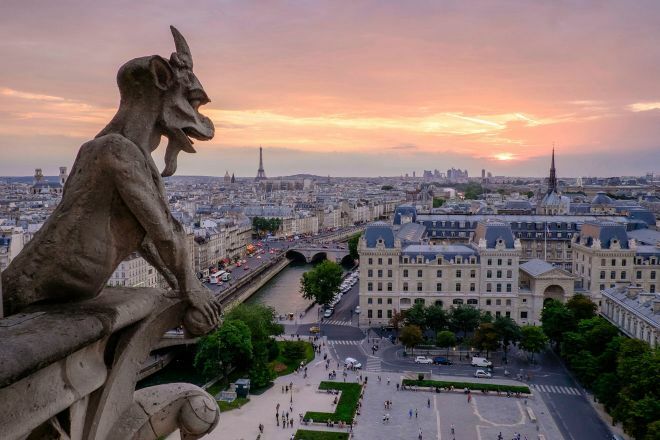 My husband really want to see the Notre Dame and gargoyles. But, after reading your blog, i dont know if i want to go there. I checked the tour and skip the line tickets—all sold out for my date/time. Any other suggestions? As you can see, the Paris can help you avoid the queue, but sadly not everywhere. Waiting near the Notre Dame in the queue for almost 2 hours especially with little kids is not the most pleasant thing you can do during your vacation. Thanks for pointing out, that tour is indeed sold out, please try this one. There are not all the days of the week, but there are plenty to choose from! A question on skipping the line at the Louvre. Do the tours essentially offer the same access as purchasing tickets ahead of time, or do they have other ways to get into the museum quicker? By getting the Skip the line ticket you get the same ticket without waiting in the line, that is it. I’m sorry… my question was around private tours vs. pre-buying tickets from the museum. All of the private tours advertising ‘skip the line’. Do they they have any tricks to get in any faster than if someone simply purchased their ticket online ahead of time? (Or, purchased the Paris Museum Pass)? Hey, sorry, I misunderstood you! If you can buy a ticket online – go for it! That is the best option if you do not need a guide. The information you provide here is awesome! I noticed through the Catacomb website you can now purchase individual tickets online for specific time slots, which is a bit different on the link you provide for skip the line tickets. Do you know if there is a different queue for ticket holders and if so how far in advance should you arrive if you have tickets say for 3pm? hey Ann, I am happy it was useful! 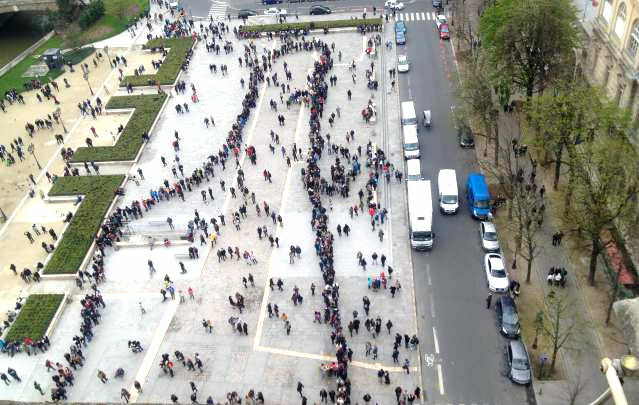 The queues in Paris are just becoming longer and longer. I didn’t know they offer tickets online, good move! But as I have read, they still have to work a lot on it – you still have to wait in the queue for hours like everyone else! Which makes no sense to me, what is the point of buying it online then? I will keep you updated if that will change anytime soon! I see that disabled people and their carer get in for free, but do they still have to wait in the queue? You should read the T&C in the pass, I havent been to St Chapelle yet so i am not sure. I went to the official catacombs website of Paris and I found their prices and tickets to buy online in advance, do those not work at all? It would be cool if they finally started to do it! Can you please let us know afterwards if you skipped the link with that ticket? Just wanted to say a huge thank you for your tips on Disney Paris ticks. I was first intending to buy 2 day ticks for 2 parks. I then looked at the disney Paris site for offers on the link you suggested and there was a special offer for adult ticks at kids tick prices. Then I looked further at Mini ticks and saw that prices for 1day at 1 park *2 were cheaper than buying 2 days at 2 parks and so I saved nearly 40 EUR per ticket! So God Bless you for sharing your knowledge and experiences! If you have any other ticks and trips for London Eye, Tower of London, Eiffel Tower, Sienne River Cruise and such attractions in May 2017, please let me know! Thank you so much for these tips! 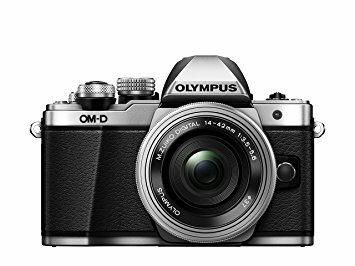 I will be visiting Paris for 2 weeks at the end of June and I want to make the most of my time there. My favorite tips were the open late museums. That will be great since we will have a flexible schedule. We will be able to fill our day with other sites and finish off with the open late sites. Thank you so much! I will definitely be checking out the rest of your Paris articles. Thank you for the straightforward tips on the museums in Paris. I’ve been there 4 times & going to visit again in September 2017. I’m looking forward with these nice tips in my pocket! 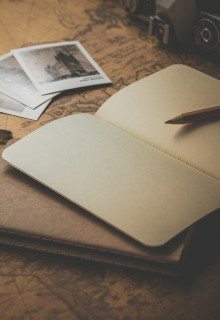 Great blog & well written. I am sure it will help you enjoy Paris in a proper way! Thank you very much for sharing your tips! We are going to Paris in just few weeks so it came in really handy :). I was just wondering…We will get the tickets online to skip the line but we have two 20year olds in our group and we would love to use the free admission for them. Do they have to wait in the line to “buy” the free tickets or can they skip the line with us and just show them their IDs? It really depends on which sight you will be going. If you go to Louvre, for example, the 20 year olds (if they are residents of the EU) can enter for free. In this case they do not need to queue for the tickets. The Paris Musem Pass is so worth. Even more if you stay a week. Maybe it’s the only pass that is worth it’s cost from all major cities that have this kind of passes. Sure, I have some apartment recommendations for you. I recommend this apartment, because it has a gorgeous view and overall it looks amazing. This one has a nice view from the balcony with the Eiffel Tower and even a very convenient airport shuttle. And last but not least, this gem – very clean and with fabulous reviews! I hope you’ll have a blast in Paris with your boyfriend! Hello, your tips are awesome! My friend and I are all under 26, but we are from the US. We were wondering if we still need to go to the main gate for tickets or we just show them our ID to get the free tickets on wed/friday night? Thank you! The line is usually for security which you cannot skip no matter the age. But as I said, not many people know that the museum is open late these 2 days and it is very probable you are not going to wait long especially if you are going to use one of the entrances that I mentioned above that are aslo less known by tourists. Loved the tip about the Louvre entrance. NO ONE was there. We walked straight in. Also we did the Notre Dame one as well. It was a stinking hot day, we just played dumb and wandered in. We only queued for a short time at the Eiffel Tower. We got there at 9:15am, and was at the top just after 10. The other museums we went to had no queues on the days and times we chose, maybe we were just lucky..
happy you saved so much time! Great tips – particularly for the Catacombes. May I add two more for everyone’s benefit: Eiffel Tower – for those with deeper pockets, food at ale Jules Verne, the Alain Ducasse restaurant is very good (EUR 200,- for lunch, more for dinner. Only fixed menu, but they let you bring children. Who have to pay though). Jules Verne has a private elevator and there is access to the 2nd level platform if desired. Arrival at least 30 minutes before reservation is recommended as despite the private entrance, everyone still needs to get through the security check. Thank you very much for the info, Kerstin! Another way to get up the Eiffel tower with almost no line, even though its is really expensive, is to have dinner at one of their 2 restaurants. The restaurants have their own elevators that only the people with dining reservations can use. The Jules Verne restaurant takes you to the 2nd floor, the Eiffel 58 restaurant takes you to the 1st. I had used a few of them myself- but this list is great. These are great tips! 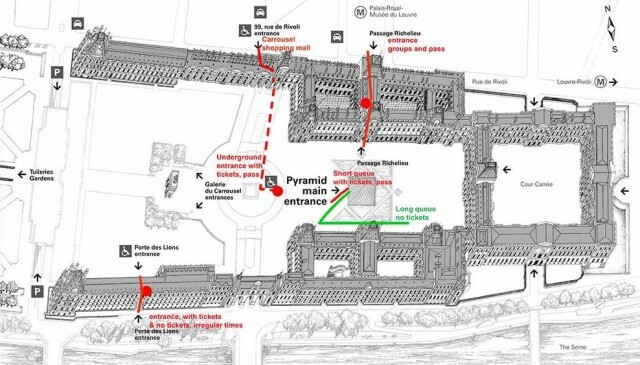 I was wondering if you take one of the different entrances to the Louvre (Porte des lions, carrousel) can you buy tickets at those entrances as well as at the pyramid? Or do you have to buy tickets online/ahead of time to use those two entrances?